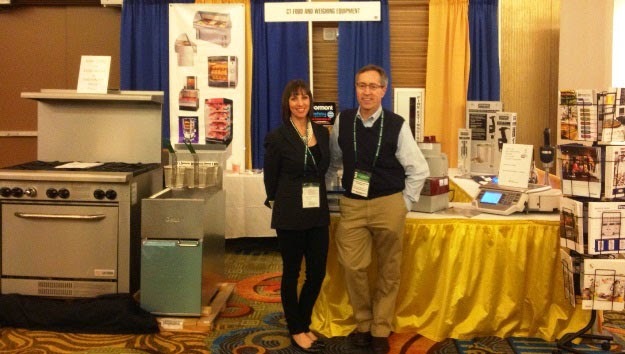 Ed Wiernasz and Lisa Wiernasz at the MPM-Northeast Division – Connecticut Food and Weighing Equipment booth during the 2013 Bozzuto’s Independent Retailer Conference. MPM-Northeast Division – the Connecticut Food and Weighing Equipment – had a successful show at the 2013 Bozzuto’s Independent Retailer Conference, which was attended by 700 independent retailers, held March 12-13, 2013, at the MGM Grand at Foxwoods Resort in Mashantucket, CT.
MPM Food Equipment Group (MPMFEG) of Northbrook, Ill. acquired Connecticut Food and Weighing Equipment at the beginning of 2013. Clients receive the same service that they have come to expect from Connecticut Food and Weighing and receive additional support and service from the team at MPMFEG. Wiernasz leads the company’s northeast sales division. If you would like more information, please contact Ed Wiernasz at (860) 436-2926 or email info@mpmfeg.com.